Spoon photo by a spoonie! If you live with a chronic illness, there’s a strong chance you already know. 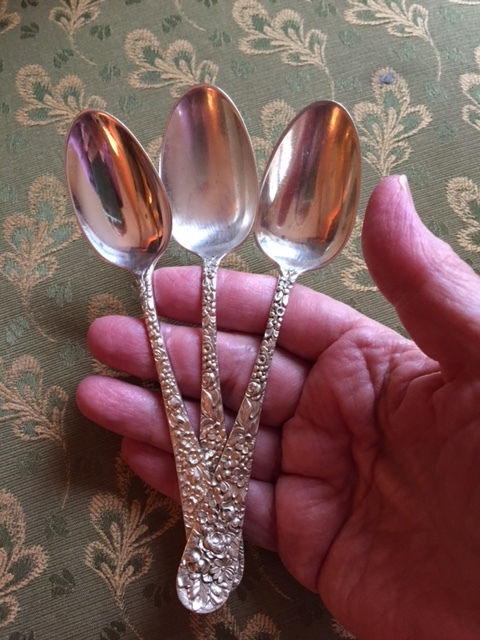 When a chronic illness grabbed me hard and fast and disrupted everything I thought I knew about myself, I was grateful to find The Spoon Theory and the community of spoonies. I had been a full-time yoga teacher for many years. My great health and flexibility was something I could take for granted, and I was drawn to teach those who didn’t enjoy that luxury. I started working (as a companion help, not an alternative, to medical treatment) with people who faced difficulties—HIV & AIDS, heart disease, and other serious challenges. Fortunately, I was caring, compassionate and nonjudgmental; because I would soon find out first hand what it meant to be on the inside of a challenged life. RA tackled me overnight—or so it seemed. Though it had probably slowly crept up on me, its full-on ambush was sudden. Suddenly I suffered debilitating, ongoing sharp pain. Suddenly I was sick with fever. Suddenly I could hardly walk, even with a walker. Suddenly I had a distinct possibility of early death. Suddenly I was frightened and depressed. Suddenly my life was turned upside down and inside out. It took a while—a long while—before I found ways to readjust to this new upside-down world. I had to call upon everything I knew about yoga (which includes meditation, breathing practices and mental attitude) to refocus in this unfamiliar land. I had to do it because this was, indeed, my new normal. I decided to live the best life I could with this new hand I’d been dealt. I networked with others who had my illness and other illnesses. I learned a lot! I experimented with the asanas (yoga poses) to find out what my body could and couldn’t do in its new condition. Not much at all at first, but I gently adapted and adjusted. As any spoonie will understand, some days I could do more but on other days nothing at all. Over time, it made a huge difference in my quality of life. My life got better. And so, one (or, sometimes, more) of my daily spoons always went to yoga. It was worth it. In this blog, I’ll share resources I’ve found helpful along with insights and inspiration that helped me. I’m not selling anything. I’m not trying to convince anyone of anything. (Those of us with chronic illness have plenty of well-meaning people doing that already!) I’ll talk about what I do that helps me and things that are meaningful to me. Sometimes the blog will be practical. Sometimes it will be a little philosophical. Take what’s useful to you and leave the rest. Thanks to each of you who has cornered me after one of my talks and said, “Do you have a blog?” or “Don’t you have a blog yet?” Thanks, loves; this is for you.